Petcurean is a pet food company from British Columbia, Canada that firmly believes in premium quality, nutrient-rich food for our pets. Our neighbors to the North contribute greatly to the dog food development realm given the highly fresh foods Canada is able to produce. From fresh fruit and veggies, to high quality animals used for their meat, Canada is a hidden gem of food development. Those fortunate enough to live in Canada and understand the benefits of its land have been hard at work farming and cultivating the finest ingredients. The Petcurean Company began with two friends starting a family orientated business in the Fraser Valley. Driven by the idea that all pets deserve better, their philosophy lies in the belief that pets and their meals should receive the same love and care as those provided and consumed by their owners. 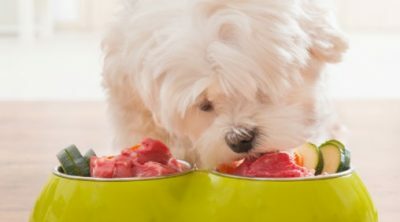 No longer are scraps and slop served to the family dog, research has shown how much dogs are able to benefit from a proper diet based upon a natural foundation mirroring our own diets. In our modern society, dogs have become a highly cherished member of the family and their diets have begun to mirror that of our own. Using fresh and natural ingredients to increase the health and well being of our pets is the least we can do for them considering the joy, love and trust the canine companions have in us. Dogs require a diet based on protein, but rounding out the diet with fresh fruit and veggie ingredients benefit the dog in many ways never before honored. Petcurean understands and honors the dietary needs of all dogs and works to continuously improve their products to uphold their high standards. Petcurean is a fiercely independent dog food company that puts quality above all else. Many food companies, whether for humans or animals, rely on profit before quality. Companies that place the importance of quality above their own profit help to better the standards of the entire industry, not simply their own efforts. Raising quality standards and reducing profit could be a risk factor many competitors refuse to take on. Not Petcurean. This brand believes in their mission and philosophy and takes pride in the workmanship of their manufacturers and developers. As pet owners, you can have faith that real effort, care and attention to detail goes into each and every recipe produced by Petcurean. Petcurean carefully considers local sources from ranch farmers and vegetable producers. This means that their produce is not only supporting local business but also guarantees freshness that simply can’t be rivaled. Keeping food close to its source is a modern trend making its way around the world. Researchers have found that the closer a food is to its original source, the healthier the food is and the least likely the food will be to contain contaminants. This is due to the fact a particular food is not shipped, packed, and en transit for extended periods of time. Reducing transit time allows for food ingredients to remain fresh and as close to their original state as possible. Without long transit times, the food will pick up less of a chemical coating and harmful bacteria invisible to the naked eye. Being close to the farmer also helps aid the dog food manufacturers in the event there are any questions or concerns that arise. Those at Petcurean are huge believers of sustainability. This means responsible production, reduced consumption (and therefore reduced waste) and empowerment of people. Sustainability may be a buzz word to some, but sustainability practices are quickly becoming the norm. Those who mass produce food are in great need of adapting sustainable practices not only for the betterment of their company but to reduce their global environmental footprint from their manufacturing. Petcurean not only implements sustainable practices in their line of work, but expect their producers to also engage in sustainability measures. Using others who adhere to the same values and principles of sustainability helps increase awareness of the topic as well as establishing a strong network of common allies. Before selecting their producers, they examine their sustainability programs. Only producers with responsible environmental and social practices will be considered. As an environmentally conscious company, they look for producers who implement natural energy sources where possible and conserve electrical and mechanic energy. To further increase sustainable practices, Petcurean looked at their energy consumption. Their pet food ovens use less energy and produce less waste than most. Their dryers use 15% – 25% less energy than previously, meaning that overall they are saving a lot on energy consumption. Even their policies on printing within the company, implement the same philosophy of consumption and waste avoidance. They exclusively use Forest Stewardship Council certified paper for printing and photocopying. All around, this company practices their sustainable mindset and encourages others to do so. Recently honored as one of Canada’s Top Small and Medium Employers, Petcurean really encourages independent thought and initiative within their workforce. They do all they can to guide their employees through their career and offer great incentives throughout those careers. It’s no wonder then that they have a high employee retention rate of 91%. Retaining talent and having a low turnover is a point of pride for any company. Keeping established employees not only raises profits and keeps the company stable, but increases the trust in the brand from consumers. Having employees remain over 90% of the time means the company not only treats its people well and has a high morale, but the company is also able to remain constant in a changing environment. The constant of having the same employees for years means those from the very bottom, to the very top of Petcurean know their jobs well. We have seen the kind of people that run this amazing company. From top to bottom, it’s run with sustainability at its core. From local producers to the paper they print with. Now let’s take a look at what it all comes down to and what really matters: the product. 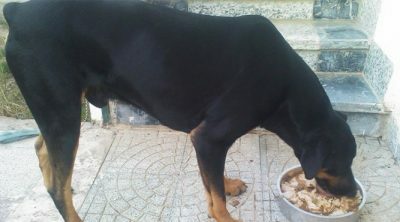 Now Fresh Products are considered to be the freshest food for dogs available. The Now Fresh line is as the title suggests 100% market fresh. Added to the fresh meat are omega 3 fatty acids derived from coconut and canola oils. These fatty acids greatly benefit all who ingest them, especially our dogs. Dogs are prone to itchy skin that develops a rash. With added fatty acids in the diet, the skin of dogs improves greatly and reduce the itchy rashes and allergic reactions. With Petcurean attempting to remain sustainable, the company eschews waste when not needed. One way to avoid excess waste is to avoid creating new products and doing extra experiments when unneeded. The philosophy of this brand is to remain simple and enjoyable, nourishing your dog in the best way possible. This goal is achieved through their existing products, expanding the lines are not necessary and are deemed wasteful. Those at Petcurean take their nutritional products seriously. Creators of the food have PhD’s in pet nutrition, which is not only admirable, but rare in the food production industry. Having a strong interest in dogs, and the educational resources for the nutritional component makes this company highly regarded. Now Fresh brands are not only fresh, but full of flavor akin to the flavors a wild dog would instinctually hunt and eat in the wild. The Now Fresh line has flavors of duck, and salmon, two of the freshest animals a dog can enjoy. Both also have the added minerals of fatty acids that will further benefit your dog in their skin, heart, eye, and brain functions. The fatty acids will also improve fur, and shine of the eyes. The Go! Line has flavors and taste ranges for picky dogs and dogs with digestive issues. Fit and Free recipes are for those dogs who lead active lives or are working dogs. The Fit and Free blend has added ingredients to encourage the energy levels of active dogs and the minerals to keep muscles strong. For those pups with extra sensitive skin and coarse fur, there is a specialty line called Sensitivity and Shine. This brand incorporates essential oil nutrients in the food to naturally cure and prevent further skin ailments. Most skin issues can be treated from the inside out, and utilizing the right nutritional balance is one of the greatest preventive actions your dog can take. 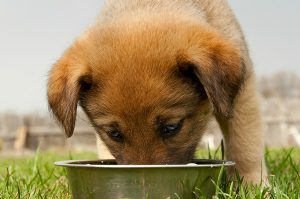 When looking to boost your dog’s immune system, dog parents can try the Daily Defense line of food. As the name implies, the food is full of extra vitamins to boost the immune system and keep sickness away. Whether your dog is old or young, all dogs can benefit from a daily defense blend. Senior dogs may benefit the most from this blend due to their compromised immune systems and exposure to other ailments. The ingredients in the Petcurean brand are whole foods, and top of the line. Blended together, these ingredients offer the most in nutrition, taste, and texture for your dog. The first ingredient listed is turkey. 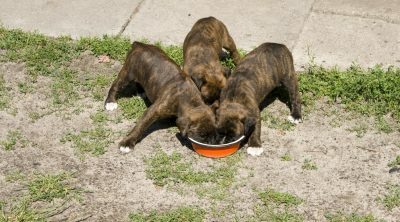 Using a protein from a meat source as the first ingredient is very important when creating a dog food line. Utilizing turkey means offering dogs a high protein food that is also lean and full of minerals. Whole, dried egg, and peas are also used. These ingredients are easily digestible, contain protein and add to the high fiber content. Pea flour and potato are ingredients four and five, adding gluten free carbohydrates for energy. Potato flour is also added, but is used more of a natural filler than a nutrition source. Flaxseed and apple are included in the recipe ingredients. This may be surprising considering how many humans enjoy these ingredients. One might not consider how well a dog would enjoy these foods as well! Both the apple and flaxseed add extra fiber to the food as well as a bit of protein and other minerals. Coconut oil is a surprising ingredient in the line of Petucrean food. Coconut oil is very popular for a variety of reasons, both topical and edible. Using coconut oil in the food allows for added omega 3 vitamins to further increase the look and feel of your pets skin and coat. The ingredient list for the Petcurean line of food is so pure, and so good, we may need to create a recipe for human consumption. Precurean offers a brand of treats to compliment their product line! Just because a dog is on a healthy diet does not mean one has to forego the treats! Petcurean offers a blend of treats that benefit the eater not only through taste but by nutrition. Pure and natural ingredients are used to create the treats, just as good, whole ingredients are used to make the food. 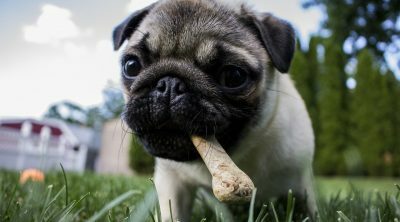 When using the proper philosophy for their foods, why not extend the nutrition to the snacks and treats dogs enjoy? A treat made from protein and veggies is a compliment to any diet. Rather than feed your dog the typical range of crunchy bones, using this line of treats containing super foods and chia seeds helps give your dog the boost it needs to have an all around healthy diet. Here is a $5 coupon when you fill out a form here or save 20% when you sign up for an auto ship program here. You can also check out the prices and reviews on Amazon. Reviews for this food are high and judges agree this is one of the best foods on the market. Many review sites rate this food between 4 and 4.5 stars on a scale of 5. Having such a high rating is not easy to come by but for Petcurean, this rating is well deserved. With the pure and fresh ingredients, and the range of blends offered to best meet your pups needs, the Petcurean brand is a step ahead of their competitors in most all areas and fully benefiting their canine customers in the process. Online consumers review these products highly, just as the various review websites. 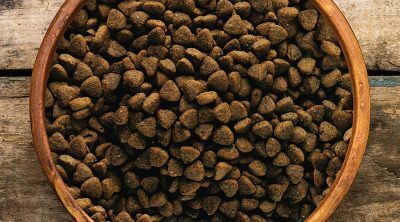 The dog lovers tend to agree this food is not only top of the line and packaged well, but an asset to the diet of the dogs. One pet parent remarked on how quickly the skin cleared after altering the diet to the Petcurean brand, and with little side effects. Other posters regard Petcurean as having giving their dog their energy and zest back. 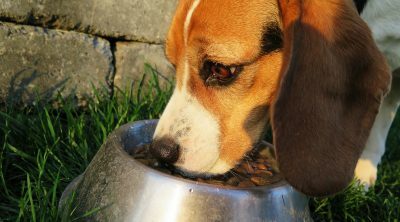 Humans tend to become overweight and unhealthy when on a poor diet, and the same is true for dogs. When humans alter their food to a more natural base, their skin and health improve. Pet parents see this occur with their dog when switching to Petcurean. Those who began their pups life with Petcurean for puppies tend to notice how their dogs have never developed the allergies of sicknesses other dogs have had with less than stellar diets. The Petcurean brand has yet to be recalled and remains one of the most trusted brands of dog foods. Many food manufacturers have had to issue a recall for a number of reasons. Avoiding recalls is an action taken by most all food companies, but knowing your quality control measures are in place and are working, truly puts this company at a higher advantage. One does not need to worry the food will be tainted or laden with bacteria causing food borne illness. Buying this product, a pet parent would also needn’t worry about the product being recalled in the future.